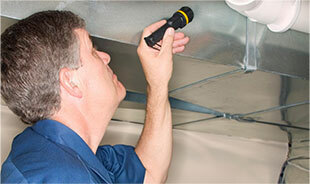 Our certified inspectors will perform a wide range of tests using the most advanced equipment and technologies. The air quality in your home will be assessed for the presence of allergic and toxic molds and will determine the levels that exist in any room. Mold gradually destroys the things they grow on, so it’s important to call at the first signs of mold. You can prevent damage to your home and furnishings, save money and avoid potential health problems associated with mold. Because mold is a natural part of our environment, it is important to test the type and quantities of mold in your home. We’ll track down, test and eliminate mold. If you have concerns about mold, don’t take unnecessary risks, call AA Action Waterproofing today. Complete the form below to get a FREE Estimate now! AA Action Waterproofing is licensed, insured and bonded with a A+ Rating with the BBB. Please call us and we'll happily supply you with references. A Leading Basement Waterproofing Company which offers Foundation Crack Repair and Mold Removal Services in Maryland, Virginia, Baltimore and Washington DC area.